Benalmadena is a municipality in the province of Malaga consisting of three main areas: Benalmadena Pueblo, Benalmadena Costa and Arroyo de la Miel. 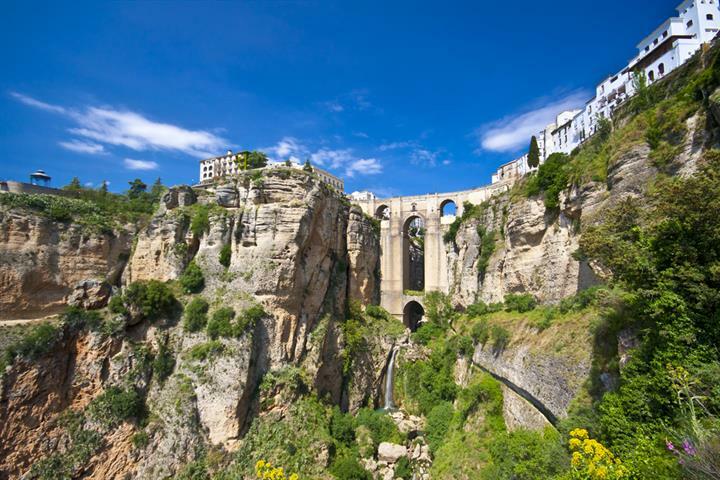 The city of Malaga (and the nearest airport) is about 12 km to the west, and Marbella is 42 km to the east. The area has grown rapidly in recent decades due to tourism and has become one of the Costa del Sol's prime holiday spots. With a wide and varied array of activities, no visitor will be bored when visiting Benalmadena, a town which is more than just a resort. Choose from a wide selection of villas and apartments in Benalmadena for your next holiday. 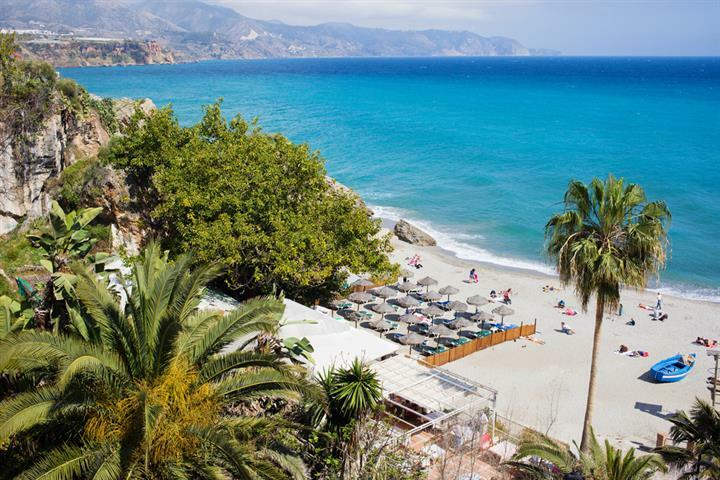 Benalmadena enjoys a subtropical Mediterranean climate, with hot summers and warm winters. Cooling breezes from the sea make the summer heat manageable, temperatures are an average of 30 ºC in summer and 17 ºC in winter. Benalmadena’s beaches are mainly centred around Puerto Marina. They vary from wide, sandy beaches perfect for families to more rocky beaches that are best suited for serious swimmers. If you don’t mind leaving Puerto Marina and Benalmadena Costa, head towards Torremuelle, where you will find quieter and emptier beaches. If you search well you will also stumble upon secluded coves that double as nudist beaches. One of these apartments and villas in Torremuelle would be the perfect base to discover the unknown beaches of Benalmadena. Take a look at our wide range of holiday homes near the beach in Benalmadena. Benalmadena Costa is home to the majority of the area's attractions, most importantly the golden sandy beaches. There are many restaurants and bars that serve food from all over the world. The relaxed, friendly atmosphere all year round makes it a beloved destination for families. 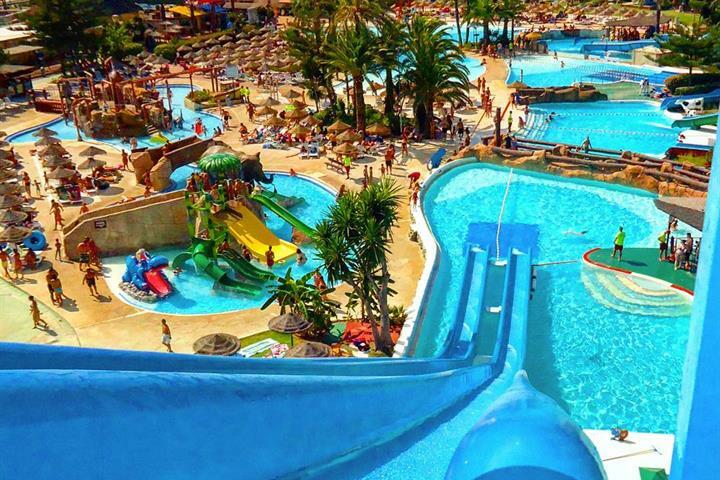 El Parque de la Paloma is a gorgeous and extensive park in the centre of Benalmadena Costa. There is a stunning array of both local and exotic plants, and there are many animals such as hens, rabbits and exotic birds walking freely around the park. It is beautifully landscaped with themed gardens and rocky waterfalls, which run down to a lake. Next to La Paloma Park you will find Selwo Marina, the sister to Selwo Adventure Park which is further down the coast. You can view dolphins, sea lions, crocodiles, exotic birds and snakes. A penguin habitation has been installed recently, giving a glimpse of the Antarctic in Andalucia. Check out our selection of holiday villas in Benalmadena Costa. A promenade connects Benalmadena Costa to Puerto Marina (Marine Port), which offers excellent shopping and dining. The marina is also home to The Sea Life Centre, where you will find all manners of marine wildlife. It has a petting tank where you can pet the rays. Take a stroll around the port and look at the floating hotels and millionaire’s yachts. When the sun goes down Puerto Marina becomes one of the coast’s best party destinations. With any of these apartments and villas in Puerto Marina you can enjoy the nightlife of Benalmadena! Arroyo de la Miel used to be a former sleepy village, but now it links Benalmadena Pueblo to Benalmadena Costa, which means it is right in the centre of the municipality. It has grown into a fantastic area for getting a bite to eat and shopping to your hearts content. The train station is also found in Arroyo, which links the town all along the coast from Malaga to Fuengirola. You can take a cable car to the top of Mount Calamorro where you can enjoy the breathtaking panoramic views of the Mediterranean. . When you arrive on the summit, you can take hikes or do bike routes, and there are also horse and bird shows. Opposite the cable car station you can visit Tivoli World, a theme park many rides and shows. Take a look at villas and apartments in Arroyo de la Miel. Benalmadena Pueblo is the original village, set back from the coast on the foot of Mount Calamorro. The village has a traditional Spanish look with white-washed buildings and labyrinth alleys, but the atmosphere is a much more cosmopolitan. Visitors to Benalmadena Pueblo can enjoy fine dining in picturesque squares and awe-inspiring views of the coast and the sea. View our range of holiday homes in Benalmadena Pueblo. La Capellania is a quiet neighbourhood just outside Benalmadena Pueblo. It’s a perfect place to de-stress, but it is still close enough to all the entertainment on the coast. Apart from that, it is also the most luxurious area in Benalmadena, with many villas overlooking the Mediterranean. Renting a villa in La Capellania is the perfect way to unwind in comfort. The Reserva del Higuerón neighbourhood, next to La Capellania, is another luxury resort. Fine dining, spa treatments and private sport clubs are just a couple of the luxuries available in the area. 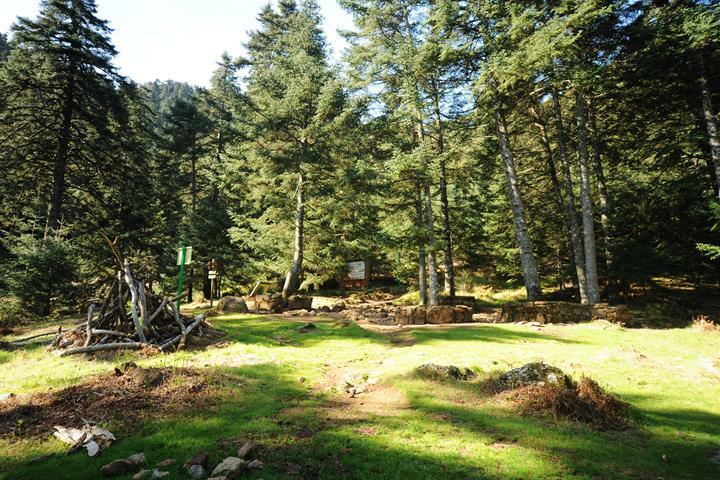 Check out holiday homes in Reserva del Higuerón for a relaxing stay. Browse our other luxury villas in and near Benalmadena. Benalmadena is home to many events such as the Festival de Verano (Summer Festival), where you can enjoy live music, street theatre and lots of other activities. During summer you can also watch films on the beach for free (Cine de Verano). There are also two food festivals where you can sample all the seafood Benalmadena has to offer. Apart from festivals, there are also a lot of culturally significant places in the town. For example, the Buddhist Enlightenment Stupa in Benalmadena Pueblo is the largest Stupa in the Western world. It is 33 metres tall and is a point of interest for Buddhists and non-Buddhists alike. Benalmadena’s cuisine is wide and varies from restaurants offering typical Spanish dishes, with lots of seafood and rice, to anything and everything you could possibly wish for. Some more traditional bars will often give you a small amount of tapas for free with a caña ( beer). Benalmadena Costa is home to chiringuitos (seafood restaurants on the beach) where you can watch the fishing boats, which have often caught what you are eating. Benalmadena has a number of golf courses, putting greens and driving ranges. Benalmadena Golf is home to a driving range, putting green and a straight forward 9 hole par three. It has an excellent clubhouse with restaurant. The nearest 18 hole course is Torrequebrada Golf, which offers a challenge to all levels of players. The pine trees that surround it gives it seclusion and some of the views are spectacular. Browse our villas in Torrequebrada for the best golf experience on the Costa del Sol. Плайя Тахо-де-ла-Сога и Плайя Карвахаль очень разные, но оба являются очень популярными пляжами в Бенальмадене и Фуэнхироле. Три в одном. Плайя Малибу, Арройо-Хондо и Плайя Бонита пользуются особой популярностью среди иностранцев. Одни из лучших пляжей в Бенальмадене. Самый красивый пляж Бенальмадены скрыт за пальмами и пышной растительностью. Плайя Ла-Виборилья - Ваш маленький рай. We have bin here several times, nice place to stay. Beach and services is great here !